While I applaud the lofty 40-40-20 goal, it does not appear to be very achievable for Oregon. I am a huge advocate for education and for higher education in particular, but believe that the only way we can achieve this is by putting resources into bringing jobs for highly educated workers into the state. If we focus only on education, we will end up either educating students who then leave the state to find work or having huge numbers of people underemployed which not only leads to dissatisfaction and emigration, but makes the educational efforts unsustainable as students figure out it’s not worth putting in the time, effort, and money to get a degree, when the payback isn’t there. The biggest contribution to addressing 40-40-20, in my view, is to recruit companies that employ highly educated workers into the state. Initially, they will bring in out of state workers who already have degrees. This will cause an initial bump in the 40-40 numbers and the availability of jobs will incent homegrown students of working age to pursue additional education because they will see the payoff. Another idea would be to incent (via a tax credit, perhaps) companies to offer tuition reimbursement programs and flex time for working students to make getting additional education affordable and feasible for those already working. Companies benefit from programs like that too because they gain the immediate value of their worker’s education and often see lower turnover as a result of showing a commitment to their workers. I, too, am concerned about these extraordinarily ambitious goals – frankly, if my read of the current pertinent literature & statistics are correct, it is not only unachievable practically speaking, they aren’t even worthwhile goals from an economic standpoint – and may in fact be counter-productive. 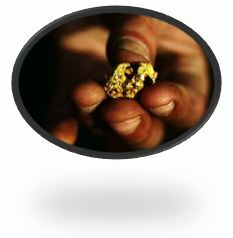 According to relatively current federal & state Bureau of Labor statistics & projections, neither state-wide or nation-wide is there any labor demand for this kind of goal, nor is there likely to be one – there simply is no good evidence to the contrary. The Incovenient Truth – does the Emperor wear clothes … ? We actually may have a lot to lose if we continue down this garden path. We stand to suffer a misallocation of funds – other things have a better chance of improving our economy or our lives – and in the worst-case, we increase the current malaise of out-of-work & underemployed grads with huge amounts of undischargeable debt burdens. Why? The 80[40+40]/20 goal seemingly is based on a ‘smoke & mirrors’ approach with no apparent data to support it. The Inconvenient Truth is that current projections from our own Oregon government, as well as the United States, match that of other successful economies around the world – more is not better – in this case more degrees are not only not better, but probably worse for our economy. 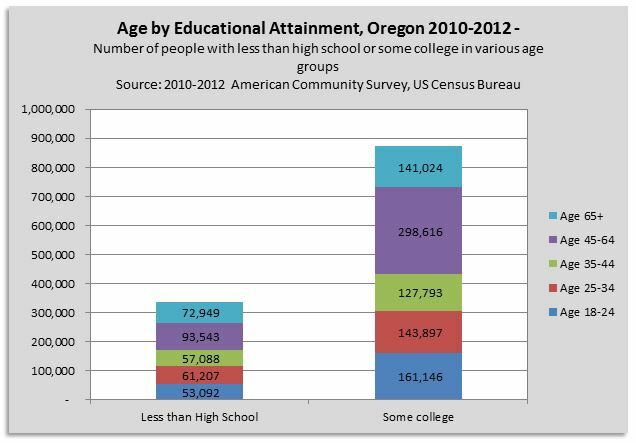 For the foreseeable future most jobs don’t require any kind of education beyond high school either here in Oregon or nationwide (69%). To be ‘competitive’ our own Employment Department projects the plurality will not need anything beyond high school (46%). Some college or other post-secondary (short of a bachelors) amounts to no more than 12% (‘required’) – 28% (‘competitive’). Similarly, only 16% bachelors & only 3% for advanced degrees (9% to be ‘competitive’). Assuming the most generous projections, no more than 9% would require an advanced degree, no more than 16% for a bachelors, for a total of 25% with a university degree. With 9% for associates & 19% for other postsecondary, that is a total of 28%. If we combine high school & below, that is leaves approximately 46% that don’t need anything beyond high school. This is comparable to other advanced economies – this is closer to the numbers for Germany, one of the strongest economies currently. Germany has had approximately 23% of its students attend college, with 13% attaining a degree. Various failing economies – e.g., Greece, Ireland, Portugal, Spain … had much higher ‘educational’ attainment – going to college or getting a degree doesn’t guarantee getting a job, or a decent economy. Hence, the Inconvenient Truth is that the continued push for 80/20 apparently is misguided at best, and disasterous at worst. Thank you, Mark. These are exactly the types of issues that we should be considering related to this goal. Thank you for bringing these stats to the table. 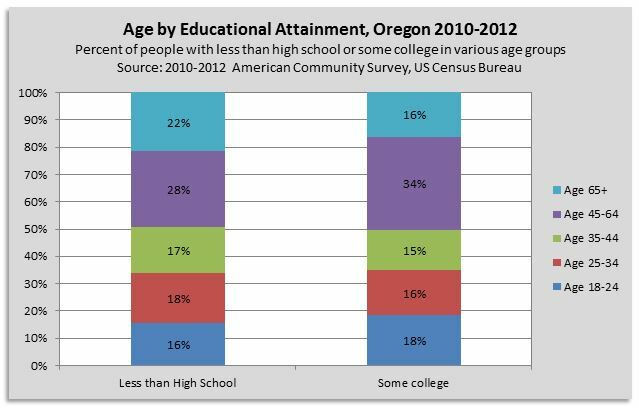 Just to play devil’s advocate, are there other benefits Oregonians may accrue by improving their educational attainment — aside from potential improvements to their employment prospects? Are there other benefits we as a state may accrue? These may be psychological, social, or civic in nature… Or is the association between education and health, civic engagement, crime/violence, etc. so dependent on the relationship education has to economic status that we shouldn’t expect improvements to the education of Oregonians to have a independent, positive ripple effect on other aspects of life in our state? I agree that there are other values besides jobs that further formal education may benefit – there just doesn’t seem to be really good conclusive evidence that such formal education actually causes any of these benefits globally – and certainly not exclusively, as opposed to being co-incident overall. As an example, many studies suggest that tertiary education doesn’t contribute to better civics – if anything, studies suggest that college graduates are less informed, not more, about civics basics, and the current trend is for less political engagement, not more. As an update with further data, apparently the experience in Mexico suggests tertiary education should be de-emphasized, and vocational training emphasized. The Mexican economy has more supply than demand for tertiary-educated – and more demand than supply for vocational training. ‘Improve the equity and efficiency of education spending by refocusing such spending on pre-primary, primary and secondary education. Concentrate on improving the quality of teaching. ‘Mexico spends four times as much on university students (Scott, 2009), than on pre-primary, primary and secondary students (Figure 17). This is not only regressive, but also inefficient since returns to education are significantly higher at early pre-primary and primary levels, which therefore deserved increased focus (Heckman,2006).